We study the Schwinger effect during inflation and its imprints on the primordial power spectrum and bispectrum. The produced charged particles by Schwinger effect during inflation can leave a unique angular dependence on the primodial spectra. W. Tangarife, K. Tobioka, L. Ubaldi and T. Volansky, Relaxed inflation, arXiv:1706.00438 [INSPIRE]. T.E. Clarke, P.P. Kronberg and H. Boehringer, A new radio — X-ray probe of galaxy cluster magnetic fields, Astrophys. J. 547 (2001) L111 [astro-ph/0011281] [INSPIRE]. F. Govoni and L. Feretti, Magnetic field in clusters of galaxies, Int. J. Mod. Phys. D 13 (2004) 1549 [astro-ph/0410182] [INSPIRE]. C. Vogt and T.A. Ensslin, A Bayesian view on Faraday rotation maps — Seeing the magnetic power spectra in galaxy clusters, Astron. Astrophys. 434 (2005) 67 [astro-ph/0501211] [INSPIRE]. M.S. Turner and L.M. Widrow, Inflation produced, large scale magnetic fields, Phys. Rev. D 37 (1988) 2743 [INSPIRE]. B. Ratra, Cosmological ‘seed’ magnetic field from inflation, Astrophys. J. 391 (1992) L1 [INSPIRE]. A. Dolgov, Breaking of conformal invariance and electromagnetic field generation in the universe, Phys. Rev. D 48 (1993) 2499 [hep-ph/9301280] [INSPIRE]. M. Giovannini, Magnetogenesis and the dynamics of internal dimensions, Phys. Rev. D 62 (2000) 123505 [hep-ph/0007163] [INSPIRE]. K. Bamba and J. Yokoyama, Large scale magnetic fields from inflation in dilaton electromagnetism, Phys. Rev. D 69 (2004) 043507 [astro-ph/0310824] [INSPIRE]. K. Bamba and M. Sasaki, Large-scale magnetic fields in the inflationary universe, JCAP 02 (2007) 030 [astro-ph/0611701] [INSPIRE]. M. Giovannini and K.E. Kunze, Magnetized CMB observables: a dedicated numerical approach, Phys. Rev. D 77 (2008) 063003 [arXiv:0712.3483] [INSPIRE]. A. Kandus, K.E. Kunze and C.G. Tsagas, Primordial magnetogenesis, Phys. Rept. 505 (2011) 1 [arXiv:1007.3891] [INSPIRE]. R. Durrer, Cosmic magnetic fields and the CMB, New Astron. Rev. 51 (2007) 275 [astro-ph/0609216] [INSPIRE]. K. Atmjeet, I. Pahwa, T.R. Seshadri and K. Subramanian, Cosmological magnetogenesis from extra-dimensional Gauss Bonnet gravity, Phys. Rev. D 89 (2014) 063002 [arXiv:1312.5815] [INSPIRE]. G. Domènech, C. Lin and M. Sasaki, Inflationary magnetogenesis with broken local U(1) symmetry, EPL 115 (2016) 19001 [arXiv:1512.01108] [INSPIRE]. C. Stahl, Schwinger effect impacting primordial magnetogenesis, Nucl. Phys. B 939 (2019) 95 [arXiv:1806.06692] [INSPIRE]. 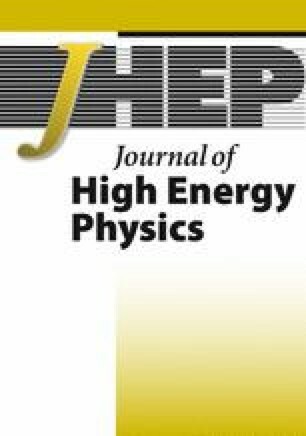 H. Kitamoto, Schwinger effect in inflaton-driven electric field, Phys. Rev. D 98 (2018) 103512 [arXiv:1807.03753] [INSPIRE]. S.P. Kim and D.N. Page, Schwinger pair production in dS 2 and AdS 2, Phys. Rev. D 78 (2008) 103517 [arXiv:0803.2555] [INSPIRE]. C. Stahl, E. Strobel and S.-S. Xue, Fermionic current and Schwinger effect in de Sitter spacetime, Phys. Rev. D 93 (2016) 025004 [arXiv:1507.01686] [INSPIRE]. T. Kobayashi and N. Afshordi, Schwinger effect in 4D de Sitter space and constraints on magnetogenesis in the early universe, JHEP 10 (2014) 166 [arXiv:1408.4141] [INSPIRE]. M. Banyeres, G. Domènech and J. Garriga, Vacuum birefringence and the Schwinger effect in (3 + 1) de Sitter, JCAP 10 (2018) 023 [arXiv:1809.08977] [INSPIRE]. T. Hayashinaka and S.-S. Xue, Physical renormalization condition for de Sitter QED, Phys. Rev. D 97 (2018) 105010 [arXiv:1802.03686] [INSPIRE]. X. Chen and Y. Wang, Large non-Gaussianities with intermediate shapes from quasi-single field inflation, Phys. Rev. D 81 (2010) 063511 [arXiv:0909.0496] [INSPIRE]. D. Baumann and D. Green, Signatures of supersymmetry from the Early universe, Phys. Rev. D 85 (2012) 103520 [arXiv:1109.0292] [INSPIRE]. N. Arkani-Hamed and J. Maldacena, Cosmological collider physics, arXiv:1503.08043 [INSPIRE]. L.H. Ford, Inflation driven by a vector field, Phys. Rev. D 40 (1989) 967 [INSPIRE]. J. Soda, Statistical anisotropy from anisotropic inflation, Class. Quant. Grav. 29 (2012) 083001 [arXiv:1201.6434] [INSPIRE]. J.D. Barrow and S. Hervik, Anisotropically inflating universes, Phys. Rev. D 73 (2006) 023007 [gr-qc/0511127] [INSPIRE]. J.D. Barrow and S. Hervik, On the evolution of universes in quadratic theories of gravity, Phys. Rev. D 74 (2006) 124017 [gr-qc/0610013] [INSPIRE]. J.D. Barrow and S. Hervik, Simple types of anisotropic inflation, Phys. Rev. D 81 (2010) 023513 [arXiv:0911.3805] [INSPIRE]. R. Emami, Anisotropic inflation and cosmological observations, arXiv:1511.01683 [INSPIRE]. S. Weinberg, Quantum contributions to cosmological correlations, Phys. Rev. D 72 (2005) 043514 [hep-th/0506236] [INSPIRE]. E. Bavarsad, S.P. Kim, C. Stahl and S.-S. Xue, Effect of a magnetic field on Schwinger mechanism in de Sitter spacetime, Phys. Rev. D 97 (2018) 025017 [arXiv:1707.03975] [INSPIRE]. K.D. Lozanov, A. Maleknejad and E. Komatsu, Schwinger effect by an SU(2) gauge field during inflation, JHEP 02 (2019) 041 [arXiv:1805.09318] [INSPIRE]. A. Maleknejad and E. Komatsu, Production and backreaction of spin-2 particles of SU(2) gauge field during inflation, arXiv:1808.09076 [INSPIRE]. C. Stahl and S.-S. Xue, Schwinger effect and backreaction in de Sitter spacetime, Phys. Lett. B 760 (2016) 288 [arXiv:1603.07166] [INSPIRE]. E. Bavarsad, C. Stahl and S.-S. Xue, Scalar current of created pairs by Schwinger mechanism in de Sitter spacetime, Phys. Rev. D 94 (2016) 104011 [arXiv:1602.06556] [INSPIRE]. O.O. Sobol, E.V. Gorbar, M. Kamarpour and S.I. Vilchinskii, Influence of backreaction of electric fields and Schwinger effect on inflationary magnetogenesis, Phys. Rev. D 98 (2018) 063534 [arXiv:1807.09851] [INSPIRE]. H. Firouzjahi et al., Charged vector inflation, arXiv:1812.07464 [INSPIRE]. K. Dimopoulos, M. Karciauskas and J.M. Wagstaff, Vector curvaton without instabilities, Phys. Lett. B 683 (2010) 298 [arXiv:0909.0475] [INSPIRE]. A.J. Tolley and M. Wyman, The gelaton scenario: equilateral non-gaussianity from multi-field dynamics, Phys. Rev. D 81 (2010) 043502 [arXiv:0910.1853] [INSPIRE]. A. Achucarro, J.-O. Gong, S. Hardeman, G.A. Palma and S.P. Patil, Mass hierarchies and non-decoupling in multi-scalar field dynamics, Phys. Rev. D 84 (2011) 043502 [arXiv:1005.3848] [INSPIRE].